Qatar Airways will make its first commercial flight to Kigali on March, 21, with its AirbusA320, giving more choices to air travelers. The Kigali to Doha route, via Entebbe in Uganda, is one of the latest routes by Qatar, which plies more than 100 destinations worldwide. The airbus has a capacity to carry 144 passengers, including 12 seats in business class and 132 in the economy class. "We have recruited a good number of staff in sales, airport, administration and reservation departments and ready to commence operations in Kigali," said a Qatar official, who refused to be named because he does not speak on behalf of the airways. 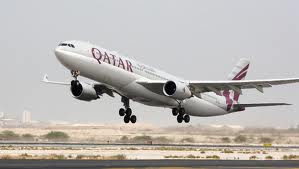 According to Richard Masozera, the Director General of Rwanda Civil Aviation Authority, the coming of Qatar Airways offers Rwandans more travel options. Masozera said with its huge network, Rwandans will be connected to the Middle East and beyond, thus increasing the visibility of Kigali on the international scene. "It's a big boost to the aviation industry; Qatar is the most prestigious airways with very high operating standards. I'm happy that Rwanda is becoming an important destination to modern airlines," Masozera said. Recently, South African Airways resumed its operations in the country, and Turkish Airline is also projected to commence operations next month. "The more players in the industry, the more choices for services, and not only services but quality services," Masozera added. In a recent interview, RwandAir's Chief Executive Officer, John Mirenge, told Business Times that the national carrier is ready for the competition. "New entrants are very much welcome. It is the only way we will grow the air travel market in this country. Competition is healthy as it gives passengers options. It puts the burden on operators to work hard and be smart to retain customers," he noted. Kigali International Airport (KIA), last year, handled over 320, 000 passengers, and air traffic is expected to grow by 50 percent, following the increase of scheduled flights to 300 per week from 200 in 2011.